In part one of this series, we looked at the form of a 12-bar blues chord progression – the familiar format that underpins most classic blues music. 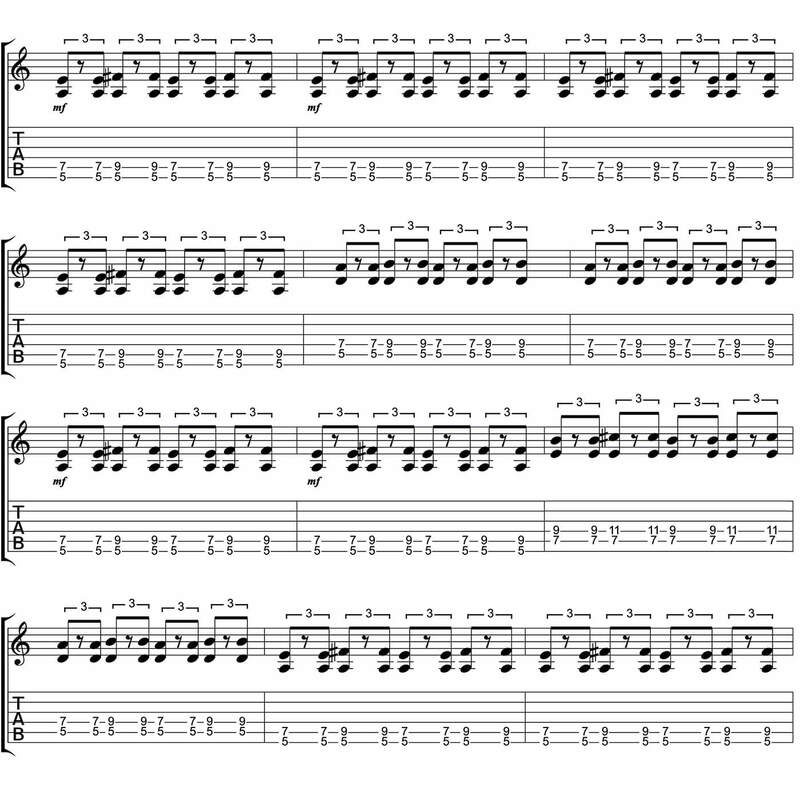 In this lesson, we’re going to apply a rhythm to that basic progression. This is a specific rhythm known as a blues shuffle. This type of rhythm dates back to the early 1930s. The first known recording of it was on a track called Lead Pencil Blues, recorded by Johnnie Temple in 1935. The shuffle style of playing has been a staple in blues rhythm since the beginning, but it has been used time and time again through the ages in many forms. Led Zeppelin’s Rock And Roll is a fine example of taking a shuffle style and adapting it for a rock sound. As with our last instalment, all the examples in this lesson are in A minor, but are transposable to whatever key you see fit. This example follows the same approach, but with single notes instead of chords. 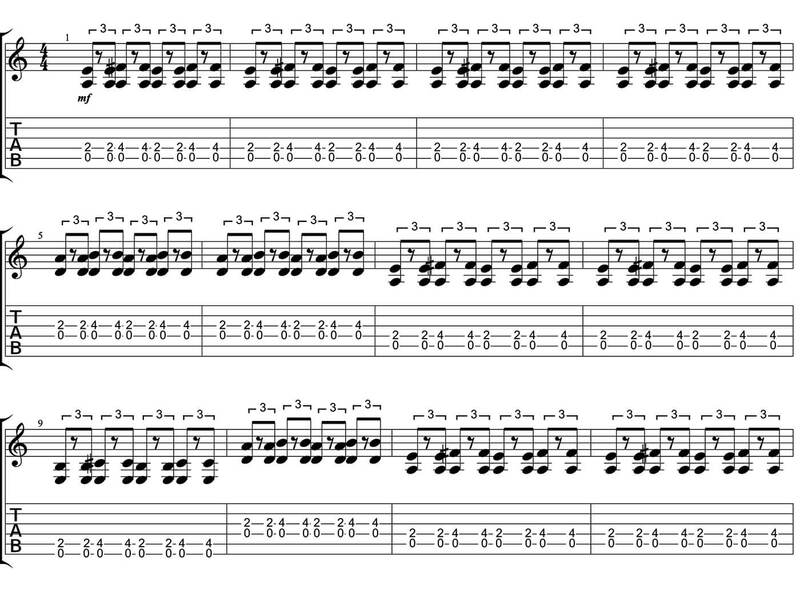 This is a walking-style shuffle pattern and is very reminiscent of BB King’s song Rock Me Baby. This final example is similar to the first one, except we are now playing this chord-based pattern from a fretted position instead of an open position. 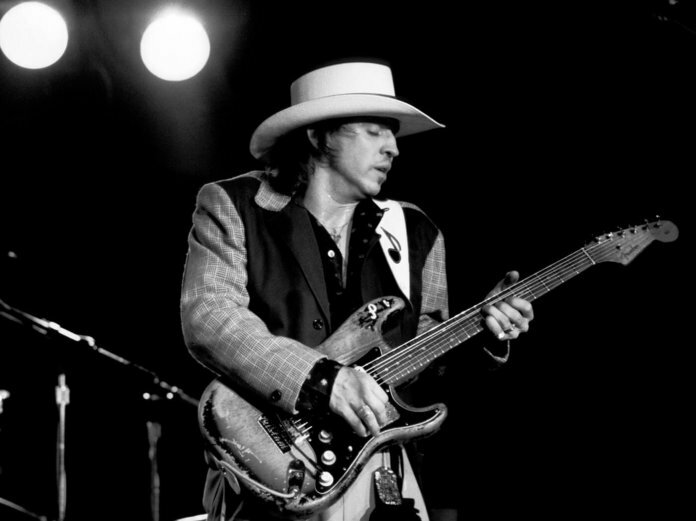 This is a typical blues-rock-style way of playing a 12-bar progression. If you take this style of playing and ramp up the speed, you’ll feel like Chuck Berry! The important thing here is noticing that our A, D and E chords are now played as powerchords. A being the 5th fret on the sixth (low E) string, and D and E being on the fifth (A) string at the 5th and 7th frets respectively. the 5th and 7th fret to the 5th and 9th. This is a great way to get your little finger more involved, if you’ve not already done so in your playing so far. Take your time with this one, it takes a while to loosen your hands up to master the stretches. Blues music is designed to be sung over so it’s useful to be able to play in different keys. 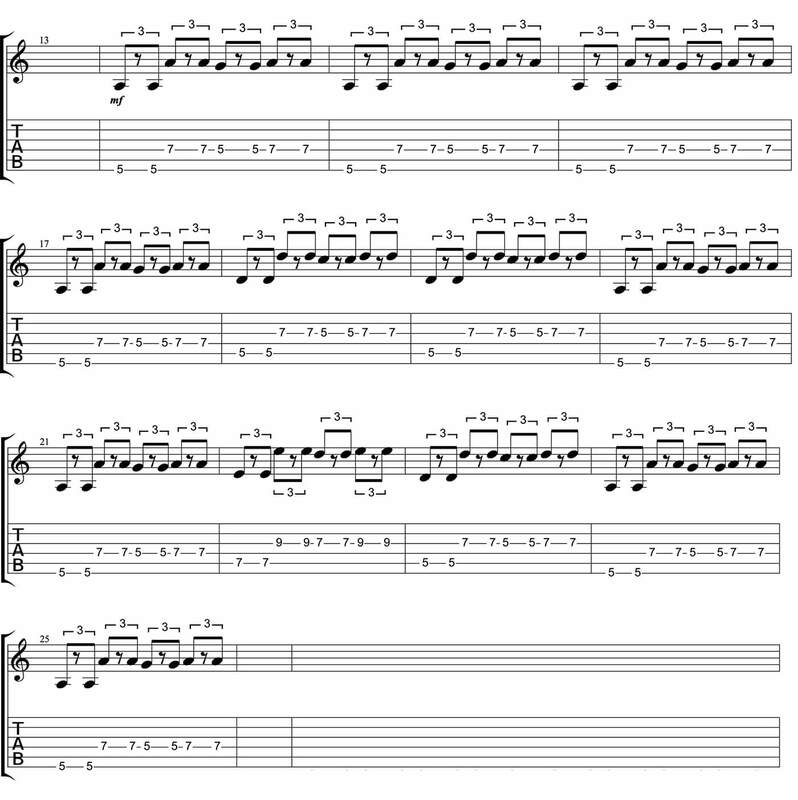 Have a go at playing your 12-bar sequence in these three styles in various other keys, to get a feel for playing your blues rhythms in different fretboard registers. About the author: Leigh Fuge is a guitar teacher and professional musician from Swansea in the UK with over 10 years of experience. He’s taught hundreds of students face-to-face and via the MGR Music platform. To find a qualified guitar tutor in your area, visit mgrmusic.com.